Today couples across the world will celebrate a day of love. Flowers will be given, cards exchanged and chocolate consumed. A few couples might even be lucky enough to get reservations at a local restaurant on what is one of the busiest nights of the year. Very few, however, will think about Saint Valentine. Like other holidays (Christmas and Easter) the average person has no clue that this is a Christian holiday, established by the church. They probably don't know that Valentine was a person. Or, if they do, they may confuse him with the cupid who is the usual representation of the day. I suppose those even more ill-informed might think that today has to do with Al Capone's 1929 massacre of seven of his prohibition era competitors in a garage in Chicago. Anyway . . . This day was named a holy day by the church in 496 AD by Pope Gelasius to remember and honor, Valentinus, the man that became known as Saint Valentine. February 14th was set aside not to remember Valentine's deep devotion to his wife, girlfriend or lover. No, it was to remember his martyrdom. The exact circumstances of his martyrdom are not clear. Like so much in history, legend tends to overlap with the facts. And there are competing stories. But the most enduring one is about a priest from Rome. 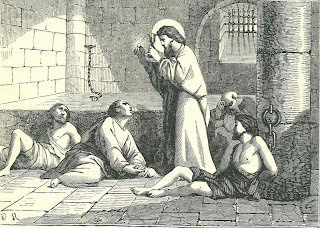 According to Catholic.org, Valentinus was a priest in Rome, who, with St. Marius and his family, assisted the martyrs in the persecution under Claudius II. He was apprehended, and sent by the emperor to the prefect of Rome, who, on finding all his promises to make him renounce his faith in effectual, commended him to be beaten with clubs, and afterwards, to be beheaded, which was executed on February 14, about the year 270. Of course, saint tend to have stories of the miraculous attached to them. That is, after all, one of the prerequisites for being declared a saint. 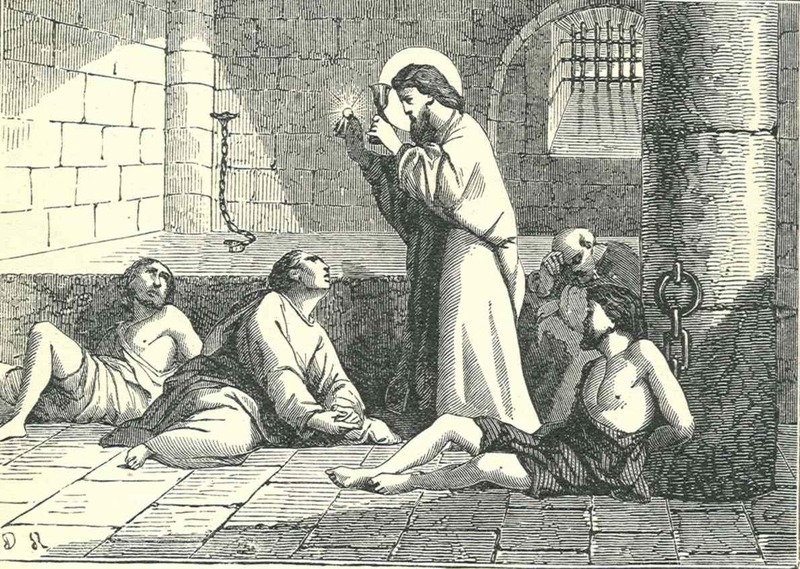 One legend says that, while awaiting his execution, Valentinus restored the sight of his jailer's blind daughter. Another says, on the eve of his death, he penned a farewell note to the jailer's daughter, signing it, "From your Valentine." The church has given Saint Valentine a rather wide job description in post-life as a saint. He is the Patron Saint of affianced couples, bee keepers, engaged couples, epilepsy, fainting, greetings, happy marriages, love, lovers, plague, travellers, young people. In light of this it seems like we have made a celebration of his job as a saint rather than his selfless acts on behalf of the church. So wish those whom you love a happy Valentine’s day and enjoy your time together. But perhaps give a thought to the fact that the day is about a man who made the greatest sacrifice of love. He gave his life for his faith and his church. Anyone who works with archaeology or has even a serious interest in it soon realizes that there are limitations to what archaeology can and cannot prove. In many ways it seems that archaeology ends ups questioning more than helping our understanding of biblical events. But it would be a shame to assume that nothing in the Bible has been confirmed by archaeology. Over at Bible History Daily there is a handy chart that lists 50 people mentioned in the Bible and the inscriptions that confirm their existence. Each name has a link embedded that will give you more information. I have pasted in the chart below.